Chuck Beverage has been in the building world for most of his life, spending summers and holidays pitching in at his family’s residential construction company, and eventually taking on a full-time role. Ten years later, his vision and work ethic drive Beverage Building and Remodeling to be the best option for any home project. 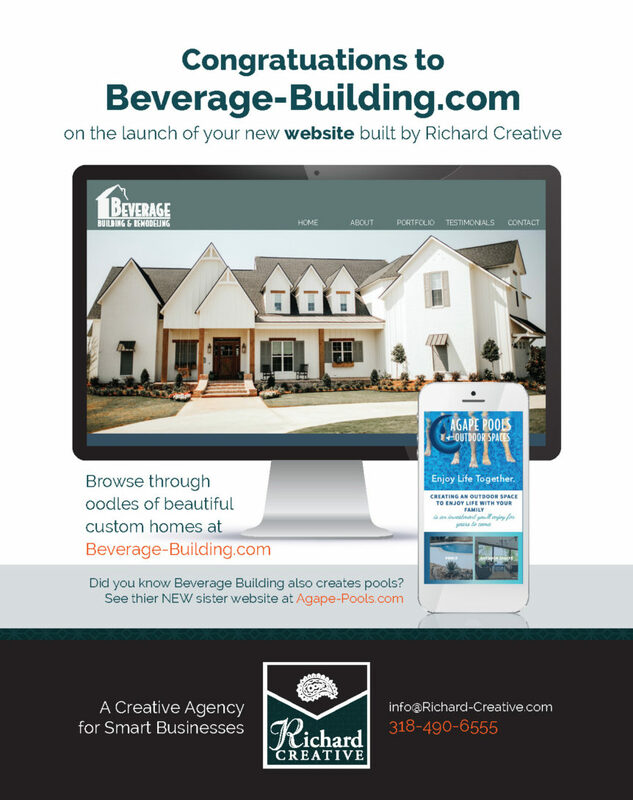 Richard Creative designed a website for Beverage Builders several years ago, and recently we were honored when they asked us to update that website to reflect the growth and new aesthetic the company has developed. Just as no company should remain exactly the same forever, neither should a website! We were excited to update the colors, images, wording, and web features to mirror the wonderful changes that both Beverage Builders and the design world have experienced over the years. We started completely from scratch, with a brand-new layout that highlights the portfolio – the star of this website. It was important to the Beverage team that this website be beautiful to look at, easy to navigate, and showcase their projects in an organized way. When it came to designing the portfolio, we used a Pinterest-style, tiled format that showcases a photo and description for each project. From there, you can click through to a gallery of the rest of the photos from that project. So you can scroll up and down the page looking at beautiful photos and reading the descriptions, or explore a project in-depth by clicking to see the entire gallery. We are thrilled that the Beverage team now has a beautiful, updated site designed specifically to highlight their custom homes – we know this marketing tool will help clients find their dream home!